Due to the quality of education on offer, thousands of students flock to Singapore every year to pursue their studies. Many of them find part time work to finance their tuition fees and cost of living. However, they soon find that juggling between study and work can be extremely difficult. Students, especially those having scholarships, simply cannot afford to lag behind in their academics. This is where MyAssignmentExpert.com comes in! We have specialised writers who understand the specific requirements of students in Singapore and can assist them in their written assignment. Our Writers have actually studied in Singapore: Unlike other websites, we have writers who have graduated from leading Singapore universities such as National University of Singapore (NUS), Singapore Management University (SMU) and SIM University. They are well aware of the academic standards followed in Singapore and they can follow them expertly. More importantly, they have a sound understanding of the local context and can use it in their examples. Professors love it when students can apply the theoretical concepts they learned in class to the local context. We Adopt an Appropriate Writing Style: Professors in Singapore are not as particular about perfect English usage in the assignments as some of the professors in the US or UK. They understand that English is only a second language for most of the students studying in Singapore. Instead the focus is on the quality of research and analysis present in your assignment. In fact if you hire a US or UK based writer to do your assignment, you can land in trouble as your professor may identify it to be not your own writing style. At MyAssignmentExpert.com, we understand that students having English as their second language are not always looking for flawless English in their assignments for the fear of getting caught. This is why when placing an order with us, you can simply mention the level of writing you are looking for and we will find a suitable writer for you. 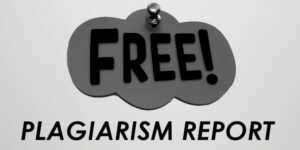 Free Plagiarism Checking: Plagiarism is taken very seriously in Singapore universities and a student can get expelled for repeated offences. At MyAssignmentExpert.com, we have an absolute zero tolerance policy towards plagiarism. In fact, when you place an order with us, you can request for a FREE WriteCheck report (powered by Turnitin database) on your assignment. This report returns the exact plagiarism score given by Turnitin, plagiarism checker of choice in most Singapore universities. Once you view this report, you can rest easy as your assignment will pass any plagiarism test in the world. Prompt Customer Care: We are available 24*7 through various channels such as telephone, fax, Live Chat and email to respond to your queries. We do not keep you waiting for response to your assignment requests or queries. When you choose us, you can pay in Singapore Dollars (SGD) and avoid unnecessary currency conversion charges when making a payment. Place a new order for your own custom assignment now. 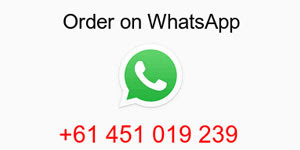 We will review your requirements and get back to you with our best quote within 1 hour.